AT&T’s WarnerMedia business isn’t done with niche streaming video services. WarnerMedia says it will provide a slate of programming to VRV, the “fandom-focused” streaming video platform run by its Otter Media unit. 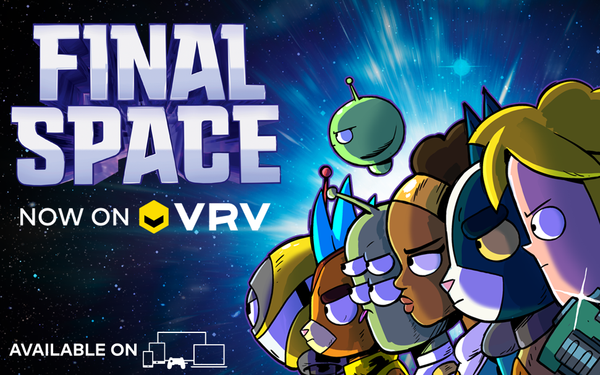 The programming will include the TBS animated show “Final Space,” with VRV becoming the exclusive streaming on-demand service for the show. In addition, the Warner Bros. animated shows “Mike Tyson Mysteries” and “Jabberjaw” will join the service, as will classics animated content from Boomerang. Boomerang and “Final Space” will join VRV this month, with the Warner Bros. shows joining in early 2019. WarnerMedia is working on a major new streaming service for 2019, one that will incorporate programming from across the company’s content portfolio. Over the past month, it has shuttered a niche streaming services, FilmStruck, DramaFever and shut down its digital comedy studio Super Deluxe. The investment in VRV suggests the company believes there is enough of a market there to sustain a streaming video business alongside its planned larger service. In a statement announcing the new content for VRV, Otter Media CEO Tony Goncalves hinted at the need for niche services to find ways to scale, as well as the value of being part of a larger organization. “We believe there is a consumer need for aggregation, and working with our sister companies within WarnerMedia allows us to offer even more great content that our fans can experience together,” he said.